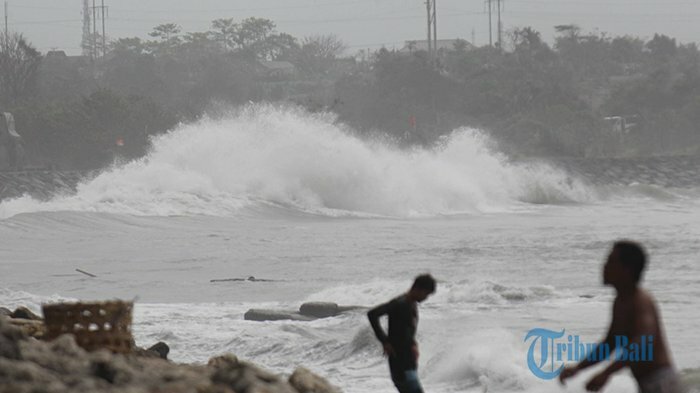 TRIBUN-BALI.COM, DENPASAR - A large wave of rolling and crashing lips broke Sanur Beach, Denpasar, Thursday (19/7). The ships docked in the middle of the sea, to avoid impact to the rocks. While the fishing boats are all raised to the coast. Sanur Beach which is always busy every day as a ferry line, yesterday instantly seemed quiet. 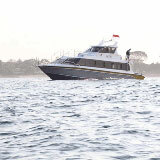 There is no pedestrian activity from Sanur to a number of piers at Nusa Penida and Lembongan or vice versa. The high waves and the extreme wind speed caused the crossing at Sanur Beach to be temporarily closed. The closure is done until 20 July 2018. The fast boat crossing was completely paralyzed. Not only in Sanur Beach, the crossing at some other fast boat ports in Bali is also temporarily closed, such as Tribhuana Port and Monggalan, Kusamba Village, Klungkung. 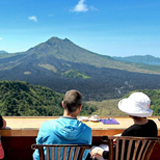 While at the Port of Padang Bai, Karangasem, to dock II is closed while dock I operate with an open system. 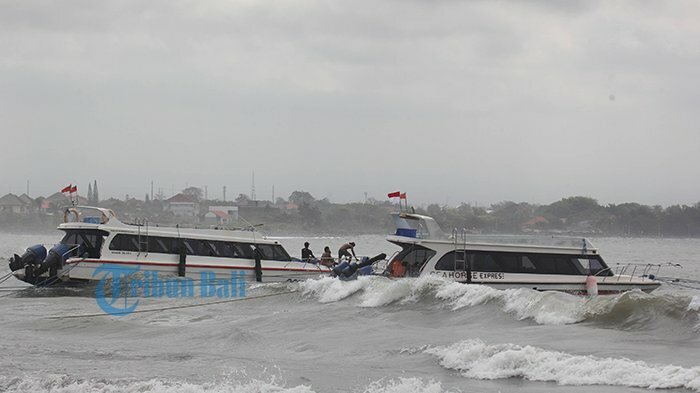 Head of Syahbandar (Marine Transportation Service) Sanur Working Area, Warsita, when met at Sanur Beach yesterday, said it did not dare to take risks by looking at the conditions of waves and weather this extreme wind. The closing of the river crossing from Sanur Beach refers to an appeal from BMKG with the Ministry of Transportation of the Directorate General of Sea Transportation Syahbandar (Marine Transportation Service) Office. "If we are safe we dare, but the conditions are not safe and dangerous we do not dare. If one meter (wave height) can still, but if it is above two meters we do not dare, "said Warsita. Based on weather forecasts from BMKG, he said, for the beach area of Sanur, Nusa Penida, Padang Bai, Gili Trawangan (Lombok) and surrounding areas, wave height about 2-4 meters with the wind speed of 2-15 knots. This extreme condition makes the Syahbandar did not allow fast boat ships that in fact use outboard engines to operate. "If a big ship like Pelni can still, there is no problem, but if our boat does not give permission to sail because it is easy to sink, let alone the draft of the ship is short, once the waves can be directly overturned (drown)," he added. The postponement of this crossing followed up the appeal of BMKG Balai Besar Region III-Denpasar by mail with PJ Number 017 / VII / 2018 dated July 18, 2018. The letter appealed to KSOP (Kantor Kesyahbandar dan Otoritas Pelabuhan) or Marine Transportation Service Authority Office to delay the departure of fast boat vessels. Officers counter ferry service in the Port of Tri Bhuana Made Yustina explained, the crossing was closed total since Thursday (19/7) morning. 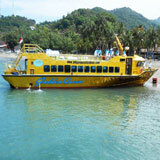 "While passengers to Nusa Penida must cross from Padang Bai Harbor using Roro boat," said Yustina. I Wayan Sutapa (35) a resident from Suana Village, Nusa Penida, along with three relatives also had to abandon his intention to cross using a fast boat at the Port of Tri Bhuana. 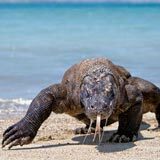 Previously he also could not cross from Sanur. "Because I live in Denpasar, my morning to Sanur, the port is closed, then here (Tri Bhuana Port) was also closed, now we are going to Padang Bai to cross by boat Roro," said Sutapa, while carrying two chickens. Temporary closure of crossings to Nusa Penida, impact on the accumulation of various goods and materials at the port. This condition can be seen in Monggalan Port, Kusamba. Various materials such as sand, wood, until soft drink drinks and gas are stuck in port. Though the goods and materials that must be immediately sent to Nusa Penida. "If conditions like this, the goods can be piled up in the harbor, all delayed, hopefully, the wave conditions will soon improve," explained the crossing officer I Made Surya. 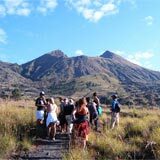 This condition is also feared to affect the supply of basic food and other staples to Nusa Penida. However, alternatively, the crossing of goods/groceries to Nusa Penida is done by LCT ship from Port of Padang Bai. "Through the LCT ship still can, but it seems Padang Bai Port is now very crowded," he said. 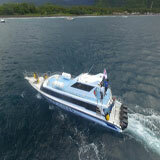 On the other hand, dozens of residents have to return tickets for failing to cross to Nusa Penida by fast boat. Though they had booked a ticket well in advance. Similar conditions also occur in Sanur. Hundreds of passengers were forced to cancel the departure because the boat can not operate. "It's from yesterday all our agents cancel. Usually every day our fleet is always full, so it is estimated about 250 passengers who cancel. That is through the book alone, not to mention we received at the location directly, can more than 300 people who cancel, if from morning until afternoon, "said Sales Manager Ticketing Angel Billabong Boat, Eka Susanti, Thursday (19/7) yesterday. While the owner of Boat El Rey Sucikra, Hendra Sucikra, admitted about 230 passengers who canceled from 08.00 until 11.00 Central Indonesia Time. "We follow the Marine Transportation Service (Syahbandar) party because we are transporting human not transporting goods, for no loss, because our operations are silent and do not work," he added. 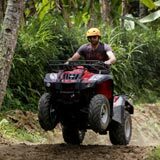 Meanwhile, hundreds of two-wheeled vehicles and four lined up from Padang Bai Harbor to Yeh Malet, Antiga Village, Manggis Sub-district, on Thursday (7/19). The reason is, the wave rises so that Padang Bai Harbor II Port is not operated. Isnaeni, truck driver from West Lombok, West Nusa Tenggara, said the queue of vehicles in Padang Bai started on Wednesday (18/7) night. Large vehicles lined up waiting to turn across to Lombok. Even the drivers queued up to eight hours. "He said, Pier II from last night was not operated, which only operates Pier I, and however its open and close, the line is quite long," said Isnaeni when met at Padang Bai Port yesterday. Head of River, Lake, and Crossing Transport (ASDP) Padang Bai Harbor, I Wayan Rosta, justifies this long line due to extreme weather. From 00:00 to 14:00 pm, only two crossings are done at 11:00 pm and 13:30 pm. "The wave is still up to three meters high, we have not dared to open Pier II. I hope the truckers are lining up to be patient. When the wave starts well, we must surrender extra ships," said Rosta yesterday. The fast boat passengers are diverted using the ferry. As a result of a surge of passengers (pedestrians). "Usually pedestrian passengers are around 100-200 people per day, and now up to 1,000 people are more drastic," said Rosta. "Tumben passenger pedestrians are lined up, usually large vehicles are lined up, so we prioritize passengers, and vehicles carrying rapidly damaged needs like fruits and vegetables," he added. Monitoring Tribune Bali, hundreds of tourists to Lombok diverted from fast boat to ferry. Which dominates foreign tourists, such as Germany, Russia, England. There are also some tourists canceling the crossing. Chief of Awareness of Authority and Crossing (KSOP) of Padang Bai Port, I Ketut Gede Sudarma, said the port of fast boat was temporarily closed on the recommendation of BMKG. The closing took place two days, 19-20 July 2018. On July 2018 the weather are unpredictable, sometime big swell but now august 2018 the weather in bali (nusa penida & lembongan) are fine for do some day trip. 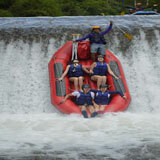 Bali Tours Info will offer you the much things to do in bali.